All businesses need customer feedback, but unlike the online world, brick-and-mortar businesses very often won't have a customer’s email address or mobile number to ask for it. Customers walk in the door and eat, buy something or avail of your services and then leave. As a business owner, you can ask them in person if they enjoyed the meal, had a good checkout experience or were satisfied with the haircut. But many consumers will be reluctant to tell you straight to your face that they were not satisfied. Most people avoid such confrontations. On top of that, if you have multiple locations you cannot be there in person to ask. Then you are relying on second-hand information from outlet staff. So how do you go about capturing customer feedback in physical locations? This post outlines five key ways to capture feedback in physical locations when you’re not there to do it in person. Web-based surveys are one of the most widely used methods of capturing customer feedback for both online and offline businesses. In a bricks and mortar context, customers are typically invited to participate via in-store signage or till receipts. The customer is required to enter a URL in their browser or scan a QR code to access the website where they can complete the questionnaire. Like most of the solutions covered here, the customer is normally offered an incentive to access the survey. There are plenty of online tools that enable you to create questionnaires in an easy and cost-effective manner. If you are not looking for something overly complicated, there are even some free options available online such as SurveyMonkey. It is easy to promote a URL or QR code using signs, till receipts or even online links and links within emails. Offering an incentive to customers who complete the survey will increase engagement. Entry into a draw for a prize is typical. Many of the web-based tools allow you to change the questions when you want to, though some enterprise solutions are less flexible. The better solutions will also enable you to learn more about your customers by asking dynamic questions (e.g. a survey might ask a different question based on whether the previous question was answered positively or negatively). Some providers have reported that the engagement rate on till receipt based surveys is less than 1%. This can partly be attributed to points 2 and 3 below. Apart from that, asking people to type a URL into their phone is time consuming, while QR codes have up until recently required a dedicated QR code scanning app to be installed on the phone and most people haven't done that (Apple’s decision to build a QR code scanning feature into the iOS 11 camera may breathe new life into QR codes). It is not so much a weakness of the solution as the way it is implemented, but user experience on these types of solutions can be very poor. Expecting customers to complete boring and time-consuming questionnaires in exchange for very little seems like an unfair exchange, but that is what many businesses expect to happen. I would recommend either making your survey quick and painless or upping the incentive considerably. In fact, preferably do both. This is related to the previous point. If a customer is going to go to the trouble of completing a survey and offering their opinion, they might reasonably expect to hear back from the business. But asking people for their email address or mobile number can generate thoughts of spam and annoying calls or text messages. Survey kiosks are essentially the same as web surveys with one key difference. You provide the device, which is typically a touchscreen tablet atop a podium with appropriate signage on it. Customers simply tap the screen to start answering your customer feedback questions. Survey kiosks, if placed in the right locations, can be hard for consumers to miss. There is also no requirement to enter a URL or scan anything. Customers simply tap the screen to start the survey, which makes it easier for staff to ask people to engage. There are no statistics available on engagement levels, but one would expect them to be higher than web surveys. However, some of the increase can probably be attributed to curious children. Many of the solutions presented here are more likely to be completed by a consumer after a visit to your premises, rather than when they’re still in it. Kiosks catch customers when they are still in your premises and the feedback should therefore be more mindful. Survey kiosks are a good means of engaging the customer who walks into your outlet and leaves without buying anything. Finding out more about that “dark” customer can be very valuable in terms of identifying missed sales opportunities for example. There is considerable initial expense in setting up one or more kiosks in every store across a chain. Aside from investing in the tablet and podium itself (they can also be leased), there is the installation costs and the software costs. Most kiosk operations will be using software developed specifically for this purpose, which will add a monthly charge per location to your budget. 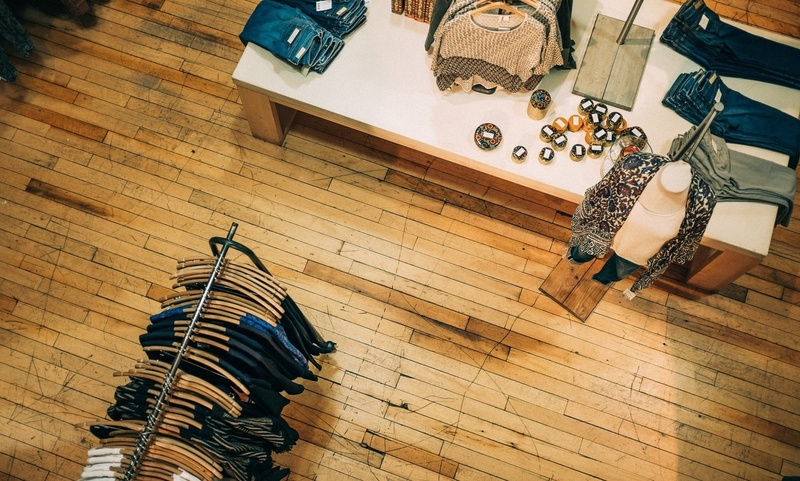 This may be a positive, but it can also be a negative, as some customer experience factors only come to light after a customer has left a store. You are also likely to miss out on feedback from specific types of customers, such as the rushed lunchtime shopper or the frazzled mother with three young children in tow. Just like web-based surveys, you need to ask the customer for their contact details. For example, ringing a customer at an inopportune time can actually add to their dissatisfaction rather than moving them towards the promoter category. You may have seen HappyOrNot machines in a supermarket or airport. They are white with four coloured buttons, which have faces on them ranging from a happy green smiley face to an angry red face. The customer is asked to hit the button that represents their feelings about a question posed on the sign above the buttons. HappyOrNot is actually the brand name of the original product, but there some copycats on the market these days. These machines capture more feedback than any other solutions in terms of volume of interactions with unique customers. The strongest use case for these machines is probably understanding people flow, whether that be in airport security or a supermarket’s checkout queue. People hate queueing, so if you have left them lingering in a queue for an excessive amount of time, the chances of them hitting a red button on the way out the door are quite high. The dashboard that you access to see the feedback can actually breakdown the feedback on an hourly basis, which helps to identify periods where increasing staff numbers might be worthwhile. The first thing most people mention when these machines are discussed is that most of the interactions are likely to be kids playing with them. Anecdotally that would appear to be a fair criticism, but they do have fail-safe triggers built into the system so that multiple taps in a short space of time are discounted. Nonetheless, children definitely impact on the results. I would be more concerned about the fact that there is no qualitative data to add colour to the quantitative data. You only get to ask one question with these machines, so if you get a lot of negative responses to a question, you still need to draw your own conclusions as to why customers are unhappy. The “why” is very important! Pricing for these machines varies from country to country and is not publicly available in most cases, but they represent a considerable investment. Their pricing includes a substantial installation fee per device, as well as a monthly subscription fee that is also charged per device. This is why some competitors are now appearing in the market. You simply cannot capture contact details of customers using these machines. Messaging apps are the way billions of people communicate with friends and family every day, so users are comfortable using them. They have built-in tools (e.g. Messenger Codes) that make it easy to engage consumers in physical locations, while they are equally useful in email or on a website. It has recently become possible to capture feedback using these applications (full disclosure: ServiceDock is a leading provider of such solutions). Survey engagement friction is lower using messaging apps. For example, using Facebook Messenger a customer can simply scan a business’s Messenger Code or search for its Messenger name within the app before hitting a button to start the survey. Unlike an email address or phone number, giving a business access to your Messenger account does not open up the possibility of many more businesses accessing that data to contact you. Facebook is the guardian of user experience on Messenger and they are both policing it for spam and giving consumers tools to manage business contact easily. The reduced friction, as well as the increased familiarity and trust, result in increased response rates. Once a customer has messaged you on one of these apps you are able to message them back and unlike the web, where two people have to be online at the same time to communicate, messaging apps facilitate asynchronous communication. This means busy retailers can reply during their quieter hours (e.g. while customers are at work) and the customer can respond when convenient, while the option of a real-time conversation is also available. The toolset within apps like Facebook Messenger and the fact that only one question is served up at a time creates huge opportunities to create new survey experiences. For example, Artificial Intelligence can enable surveys to be unique to each consumer based on their first few answers or be gender specific (gender is available in the Messenger API). Depending on the demographics of your customer base, messaging apps may or may not be a good channel to use (at least as the sole survey channel). Over 100M Americans have Messenger on their phone, but the penetration levels change across the generations as you can see in Table 1 below. Asking more than 10 questions using a messaging app based survey will quickly get tiresome for the customer. Unlike web forms, where the customer can rapidly tick boxes for multiple questions without really thinking about the answers, surveys delivered via messaging app ask one question at a time. This increases the attention the customer gives that question, but being greedy in your hunt for feedback will likely result in lower completion rates and repeat survey numbers. Suggestion boxes are still in use in hotels, restaurants and other bricks and mortar businesses around the world. On a small scale, they certainly have their place. Draft your questions, print and distribute. If you run a small one shop business then reading a few suggestion cards at the end of each day is a nice and simple way to digest customer feedback. While there are ways to capture data on paper and efficiently compile it into digital records, it is not an efficient way of handling customer feedback on a large scale. Even on a small scale, identifying trends or benchmarking performance using paper-based feedback will be challenging. All of the digital channels mentioned above would have such features at the core of the product. For similar reasons to those already mentioned for other solutions, following via email or phone can be problematic. The administrative input it requires to get deal with paper-based feedback may exacerbate the problem, as the time gap between feedback collection and follow-up might be even longer. What volume of feedback do I want/expect? Who are my customers and what would they be most comfortable using? What are the touch points at which I can ask my customers for feedback and which channels would work best in those environments? Is quantitative feedback or qualitative feedback the priority? How important is the ability to follow up with customers (read our blog post on closing the feedback loop here)? What is the total budget? Does feedback need to be outlet-specific? Is outlet benchmarking a key part of the solution? Who will respond to customers and how will they do that? Whatever channels and service provider (if any) you choose to go with, done right customer experience management should pay for itself many times over. If we can be of any assistance, please do not hesitate to get in touch. ServiceDock is a new Customer Experience Management tool that helps multi-location businesses capture customer feedback and follow-up with customers via the messaging apps consumers already have on their phones. Thanks to Tina Zafeiri for her assistance putting this post together.